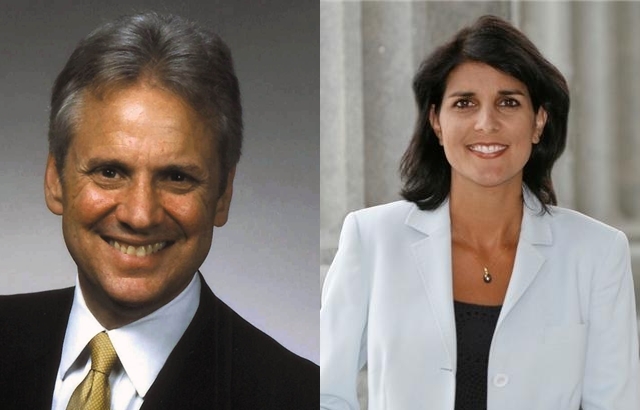 In previous Rasmussen Reports polling, back in March, Henry McMaster led a multi-way race with 21 to Andre Bauer’s 17, Gresham Barrett’s 17, and Nikki Haley was back in fourth with 14. Now, after Sarah Palin made a personal appearance to endorse Nikki Haley, It’s all different. Haley leads at 30, and nobody else reaches 20. McMaster 19, Barrett 17, and Bauer 12 finish the new ordering of the top four. A showing of 30 should be more than enough for Haley to go into the run-off, but one now wonders if she’ll make a majority and prevent that run-off. It’d be tough to gather that much of the vote in a four way race, but at this point it has to be her goal.